Series R52 smart sensors measure bi-directional torque for a wide variety of applications across virtually all industries. 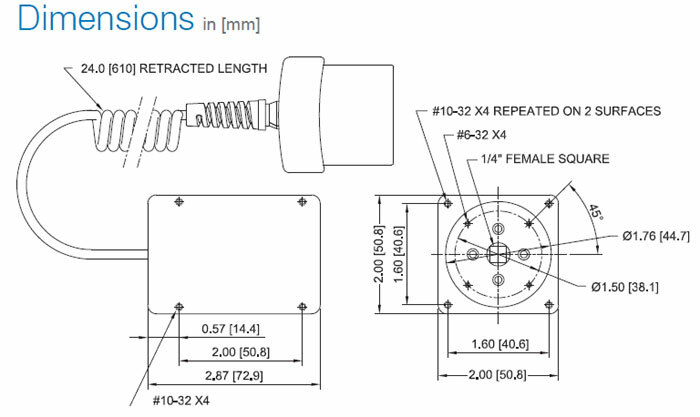 Calibrate torque tools, or use these sensors as components of a torque testing system. Tapped holes on every surface allow for easy mounting to a work bench or fixture. Capacities available from 10 ozFin to 100 lbFin [7 to 1150 Ncm]. Compatible with Mark-10 model 5i and 3i indicators (sold separately) through unique Plug & TestTM technology.